Slice! GameSpot has the story. It's the end of the road for EA's latest golf game. Rory McIlroy PGA Tour is being removed from all digital storefronts for PS4 and Xbox One on May 22, which is also when it'll be taken out of the EA Access free game "Vault" on Xbox One. It's just the second game to leave the service, following FIFA 14 last year. The news comes by way of sports site Pasta Padre. The site surmises that this may have something to do with a licensing deal expiring. We have contacted EA in an attempt to get more details, and we'll update this story with anything we hear back. Rory McIlory PGA Tour, like EA's previous Tiger Woods PGA Tour games, uses a lot of different licenses. 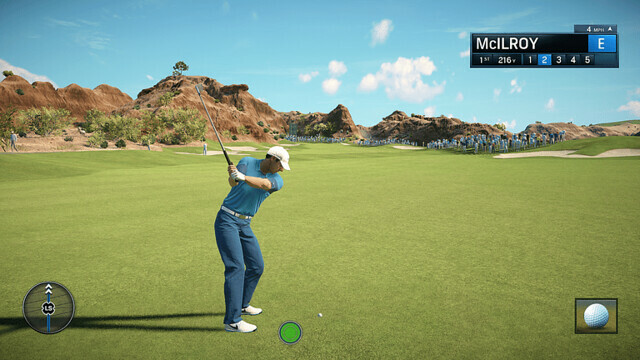 The game features the likenesses of many professional golfers in addition to McIlroy, including Jordan Spieth, Rickie Fowler, and Jason Dufner. There are also a number of real-world courses such as St. Andrews and TPC Sawgrass that require licensing. What's more, the presentation is voiced by broadcast TV veterans Rich Lerner and Frank Nobilo. Even after losing Augusta National and bigger-name commentators like Jim Nantz from past games, Rory McIlroy PGA Tour likely incurred a significant and potentially complicated licensing situation that was probably always due to expire at some point. Rory McIlroy PGA Tour launched in July 2015 to middling reviews and criticisms over its perceived lack of content at launch. More courses were added as free DLC after launch. BRING BACK LINKS! Even as a HD simple remaster, the Links 2004 from Xbox Original was and would be the PERFECT golf game. EA killed Links, but now that EA is killing its golf franchise, it's the perfect time to re-introduce Links. Too bad Microsoft isn't smart enough to see the opportunity. I never got into playing Golf Simulators, but I always loved the Everybody's Golf (previously known as Hot Shots Golf in the US) titles by Clap Hanz. I still have Links LS '99 w/Arnold Palmer on the disc. Great game. Loved Links. I'd buy the super deluxe PC version of a new Links title faster than you can say EA blows! Count me in on the Links too! Bonus points for VR support.